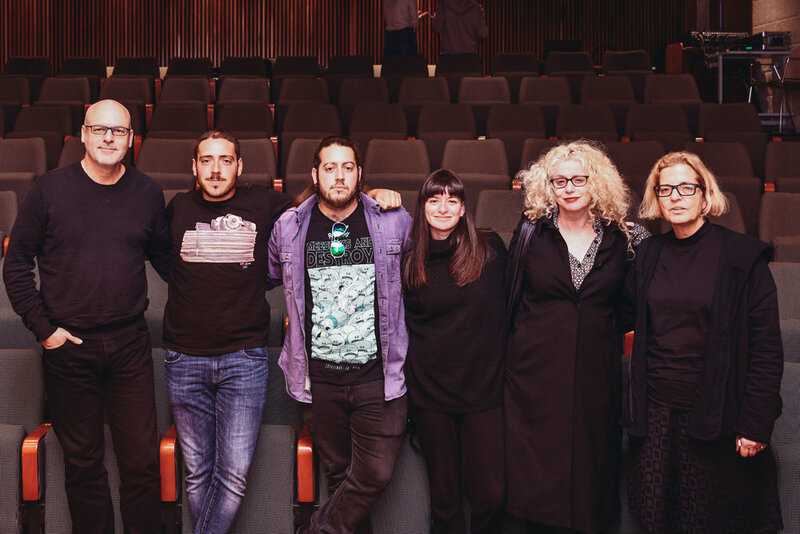 Sharon Balaban took to the stage to present the evening’s screenings of Uri Katzenstein’s video works. 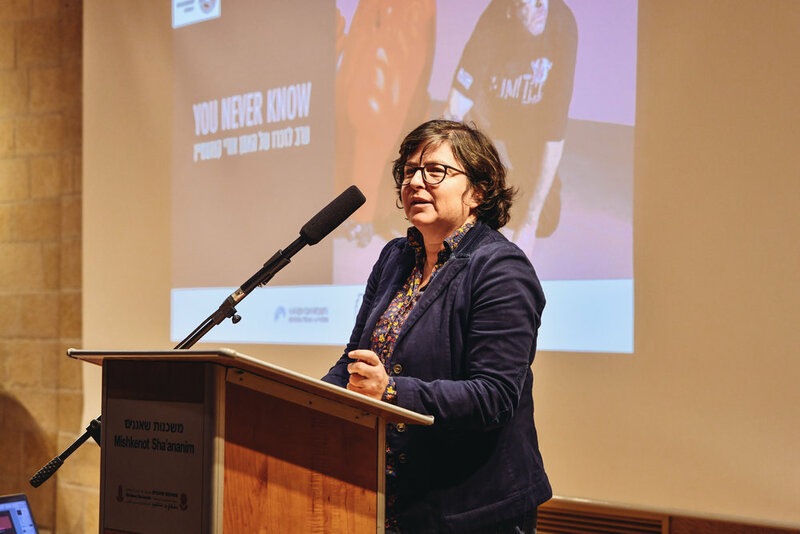 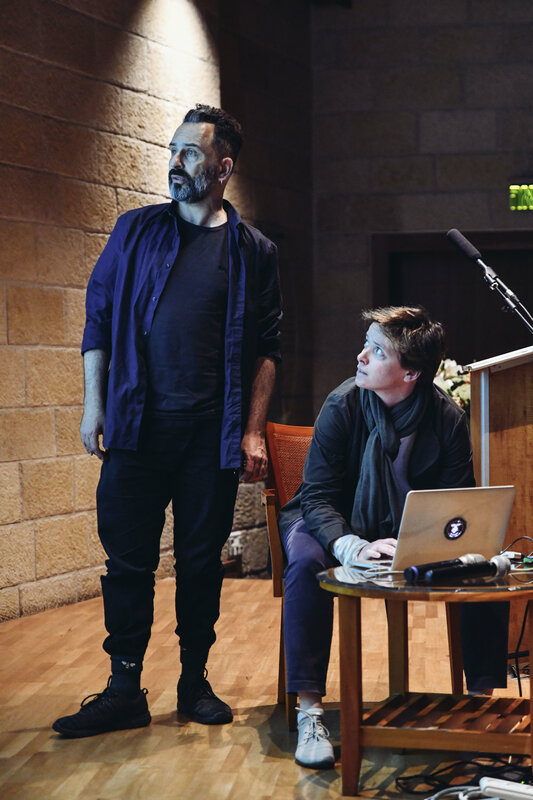 Ms. Balaban is the head of the video unit at the Screen Based Arts Department at the Bezalel Academy of Art and Design in Jerusalem. 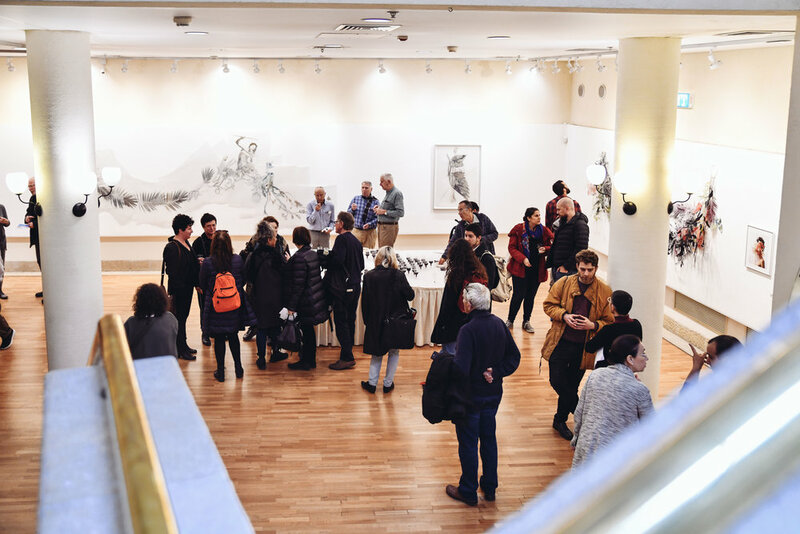 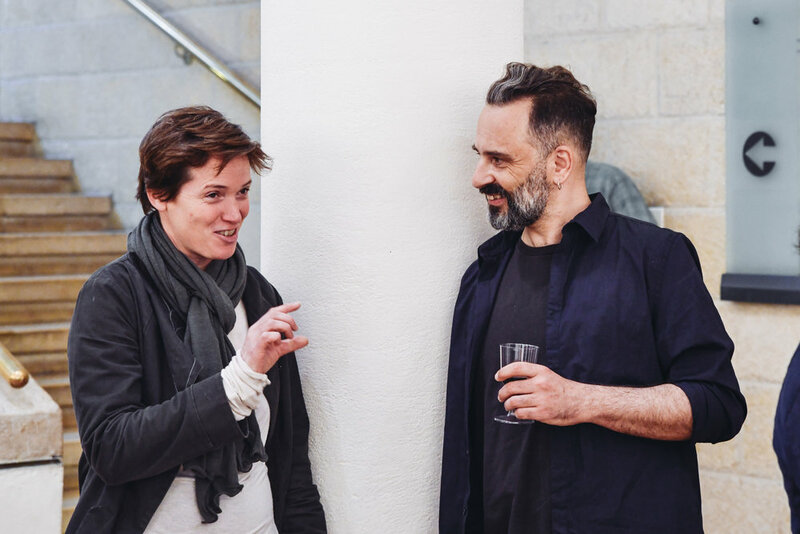 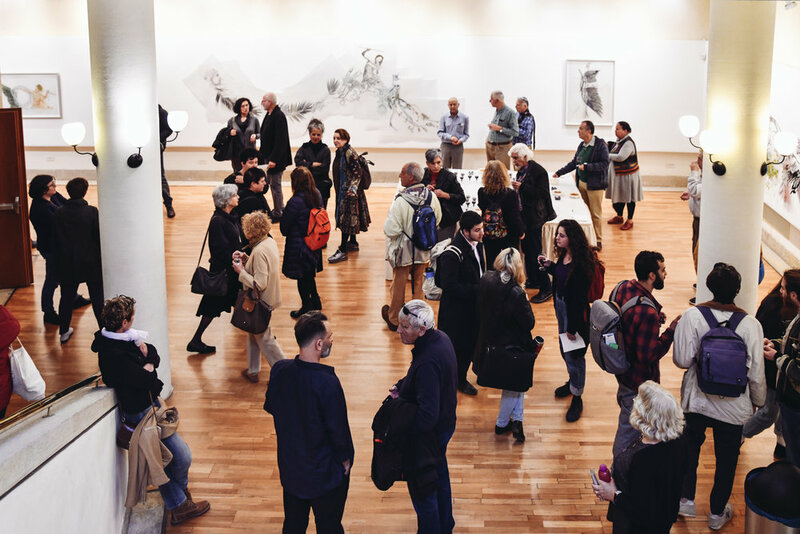 This event was made possible through a collaboration with Bezalel Academy and Artis. 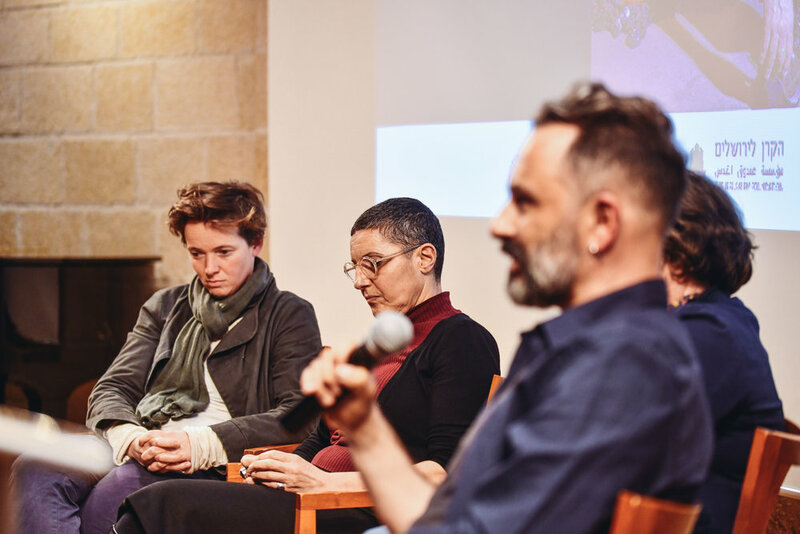 L-R: Sharon Balaban, Ronit Eden, Ohad Fishof, and Thalia Hoffman. 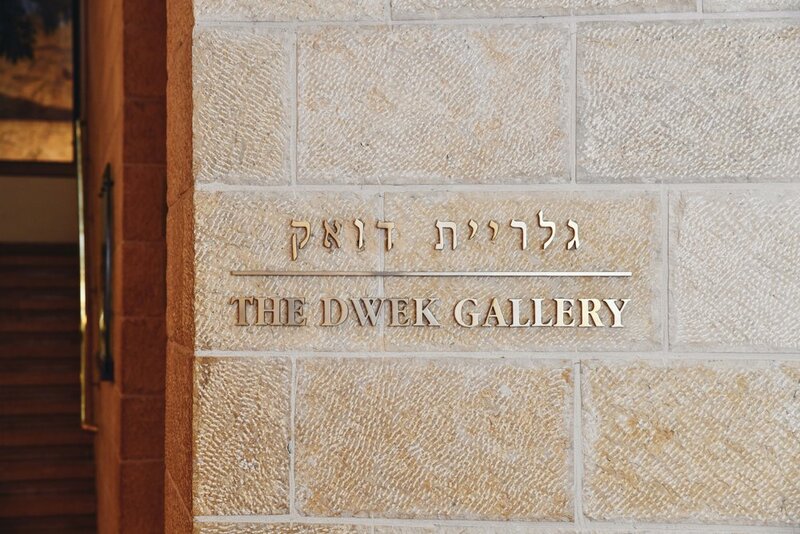 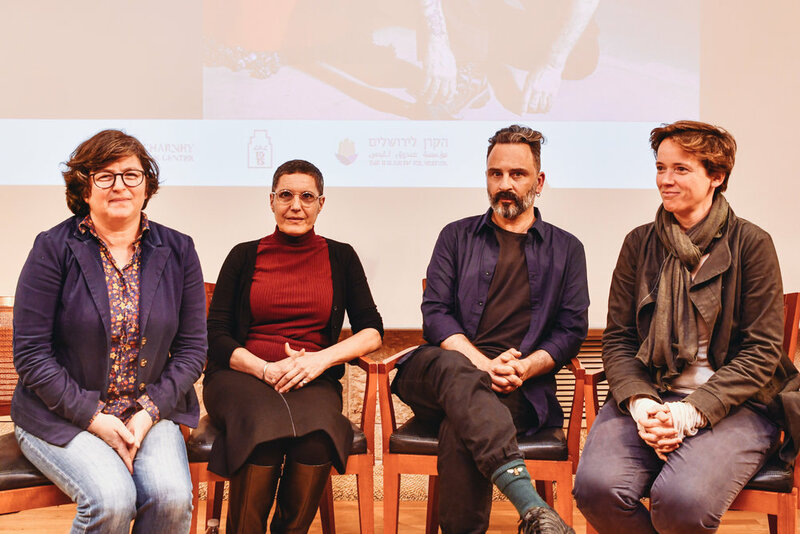 A panel discussion took place discussing the vast array of Katzenstein’s video artwork, commemorating the achievements of the late Israeli artist.